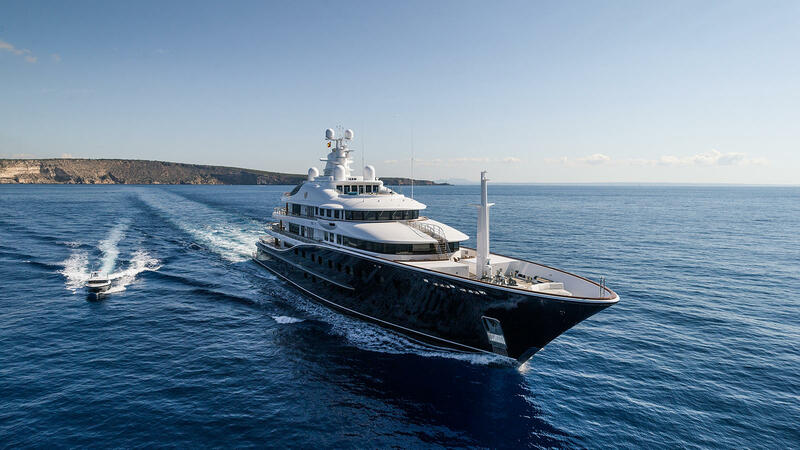 This spectacular 86m/281ft CUSTOM SUPERYACHT was built by Derecktor Yachts in 2010 using a steel hull and aluminium superstructure. 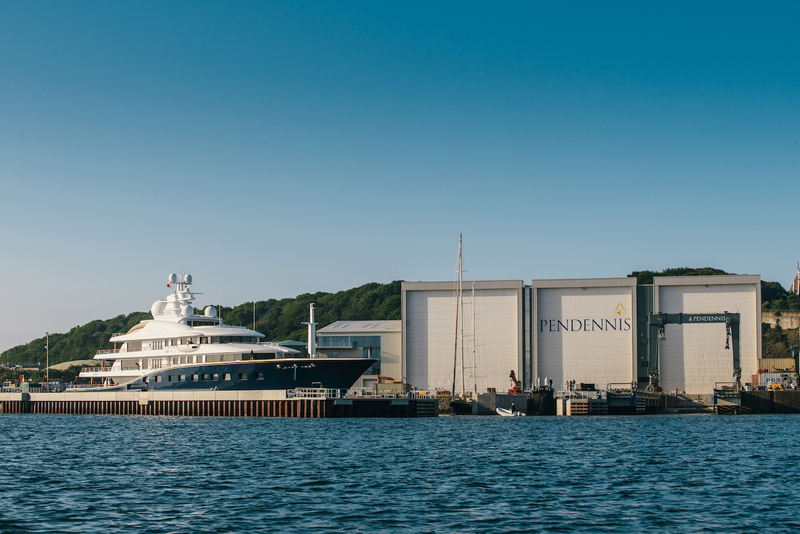 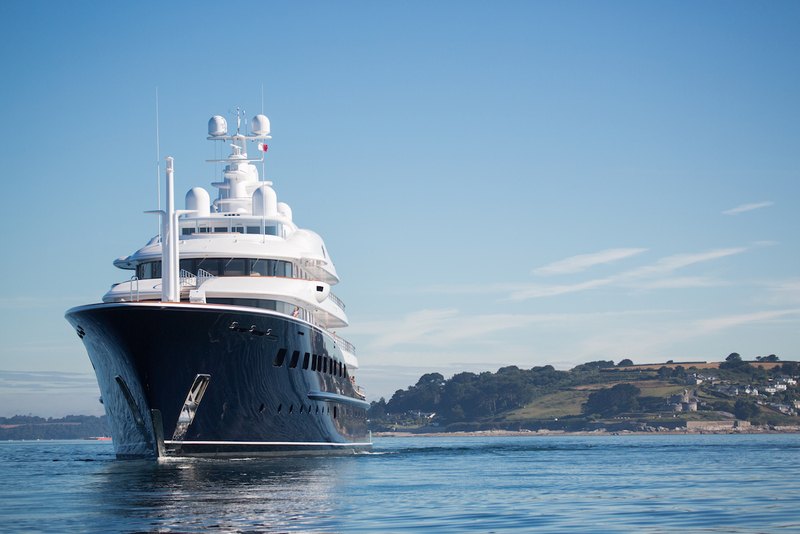 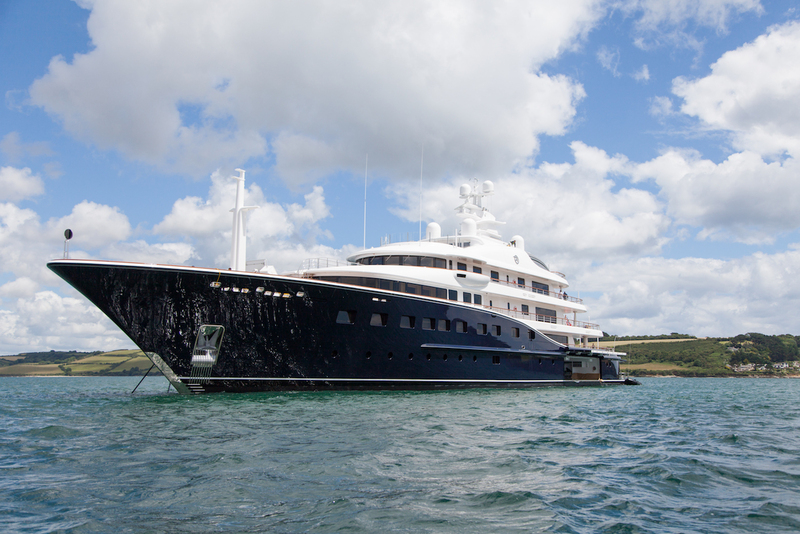 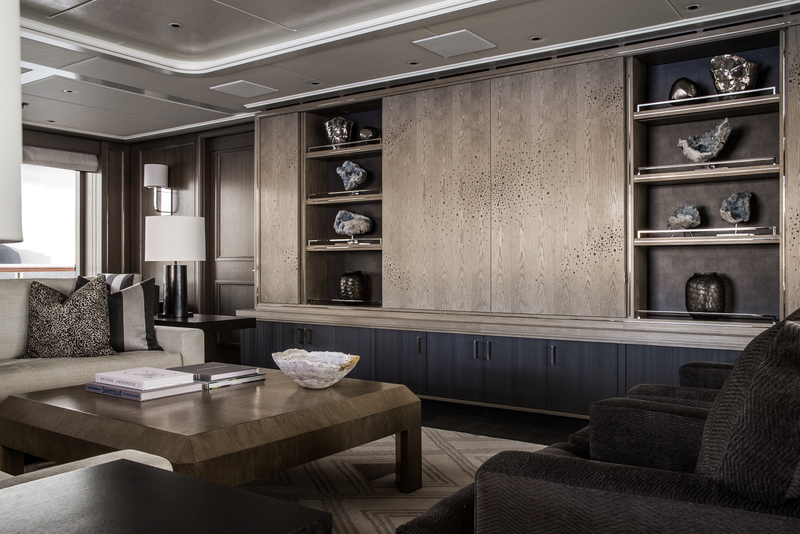 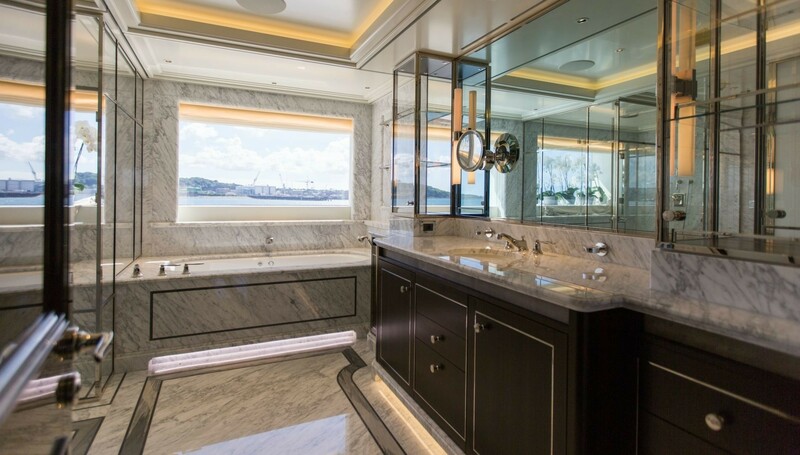 Azure Naval Architects produced her naval architecture and she underwent a comprehensive refit during 2016 at the Pendennis Shipyard in the UK, updating her interior and exterior appearance and the on board systems. 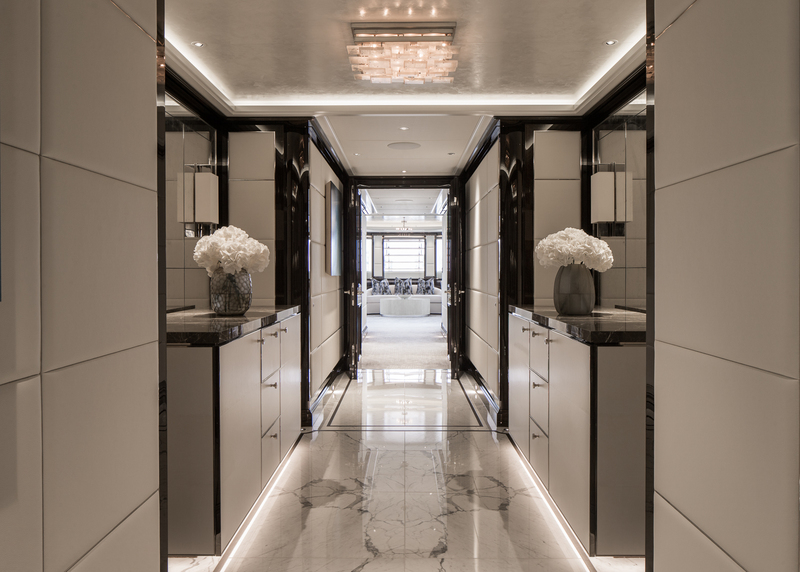 The exterior styling comes from Tim Heywood Designs and RWD, the latter also working on the interiors with Susan Young Interiors. 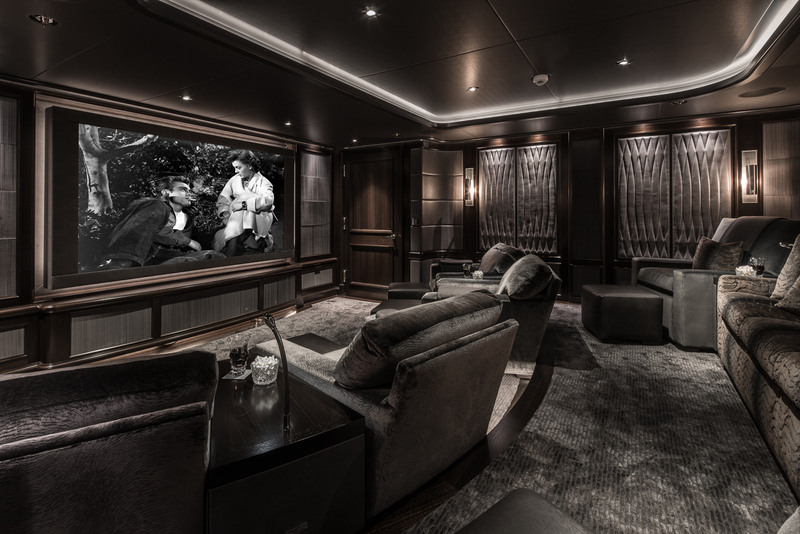 The accommodation sleeps up to 12 guests across eight timeless cabins equipped with state-of-the-art entertainment. 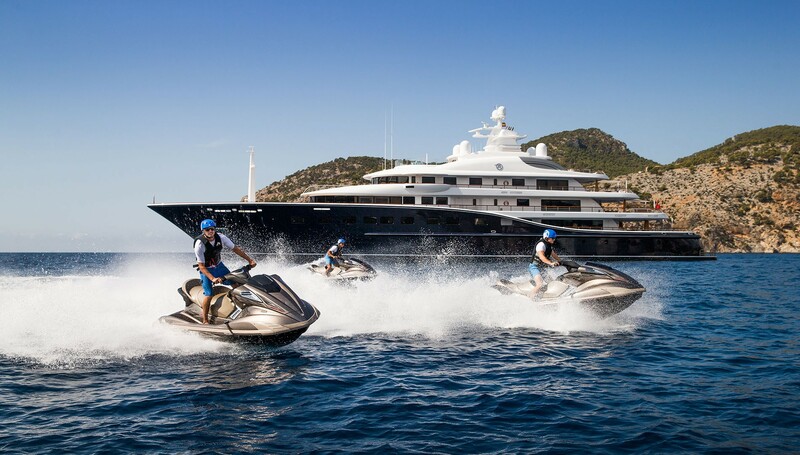 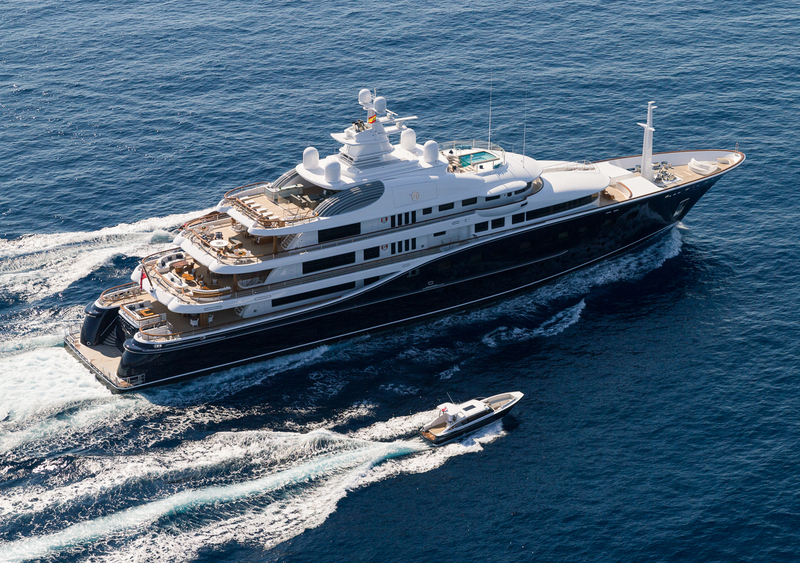 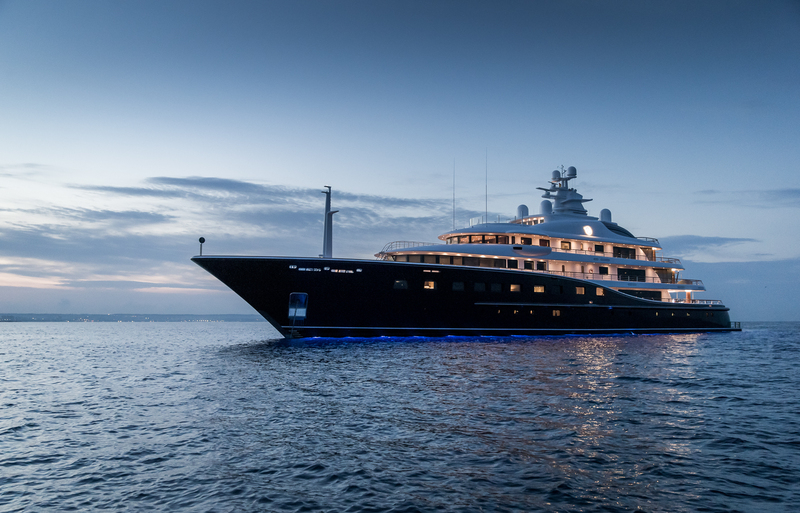 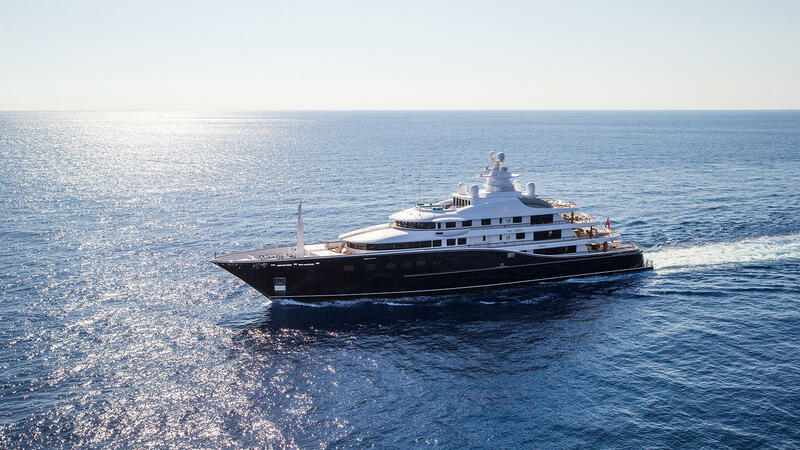 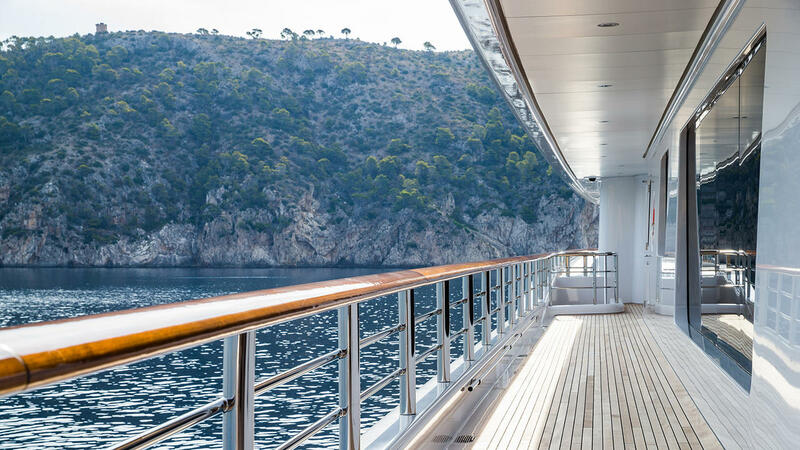 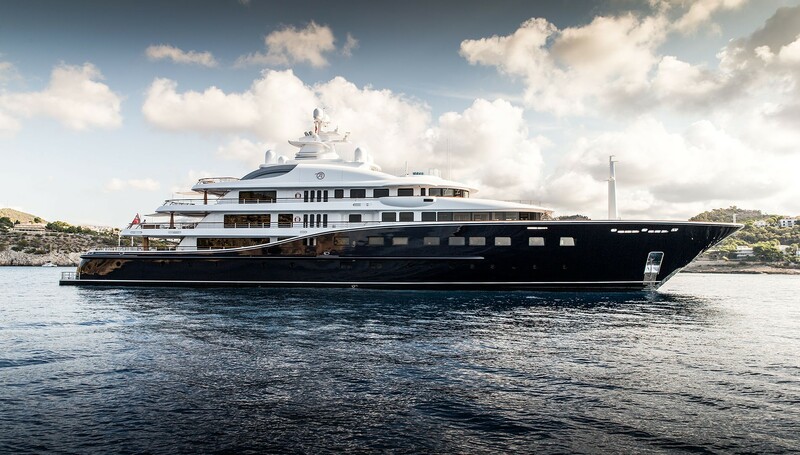 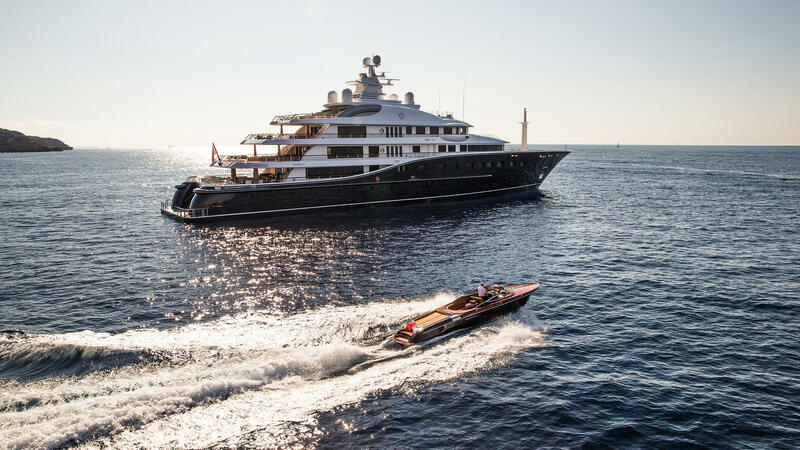 The 86m Director/Pendennis offers out-of-this-world luxury charter experience for discerning travellers seeking adventure and a truly unique holiday. 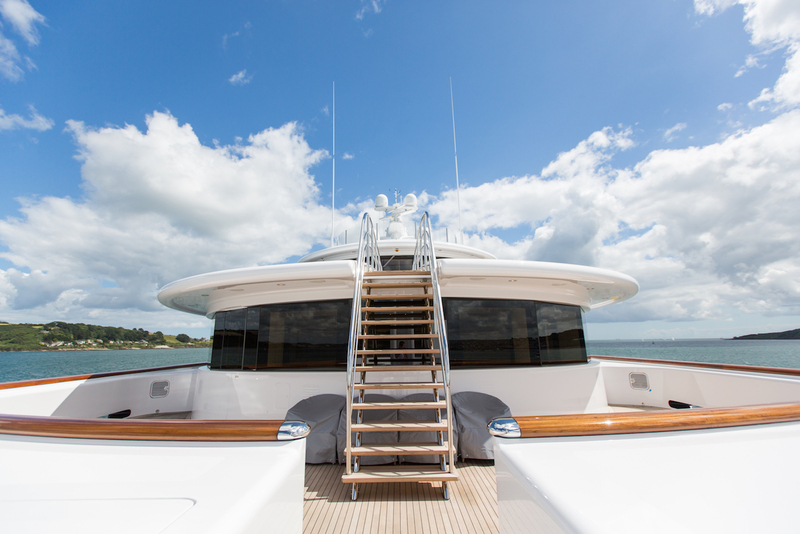 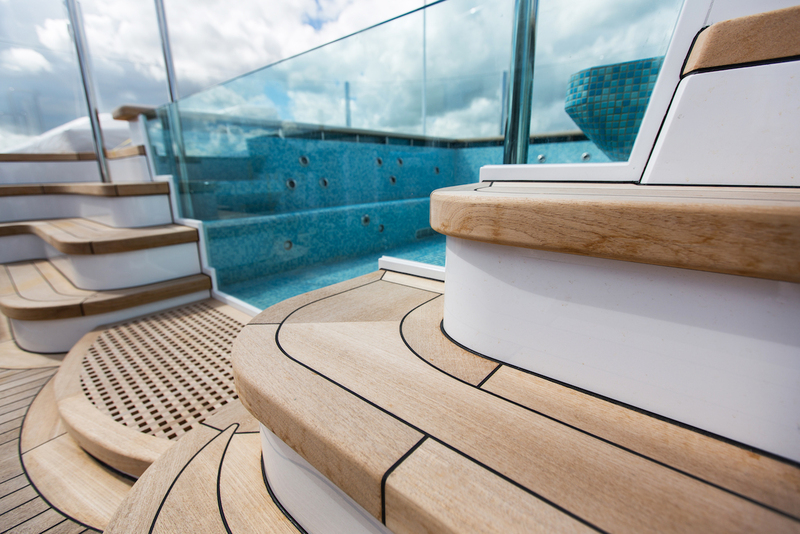 The lower deck has a large swim platform for sunbathing and easy access boarding and leaving the tenders. 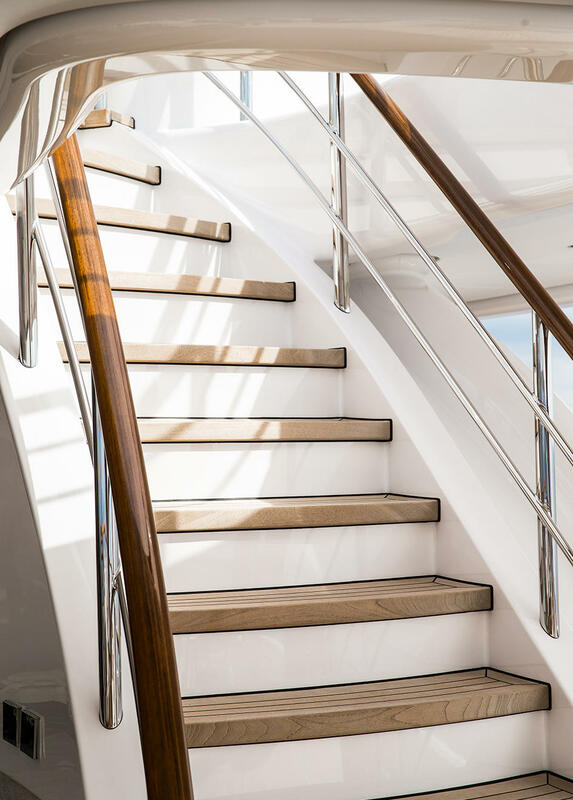 Two staircases connect up to the main deck aft where the expansive deck space is divided for multiple uses. 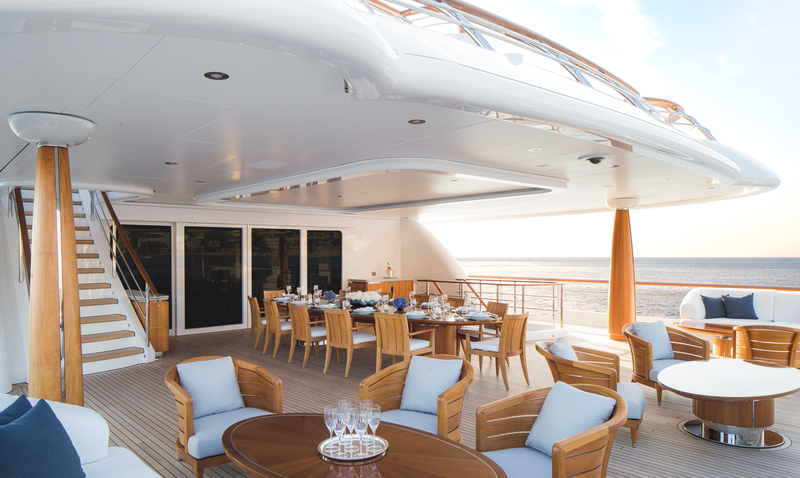 The stern-side alfresco dining area is comprised of a C-shaped sofa and table, forward of which is a casual shaded lounge area ideal for coffee mornings, plus a circular drinks table and four armchairs close to the entrance to the main salon. 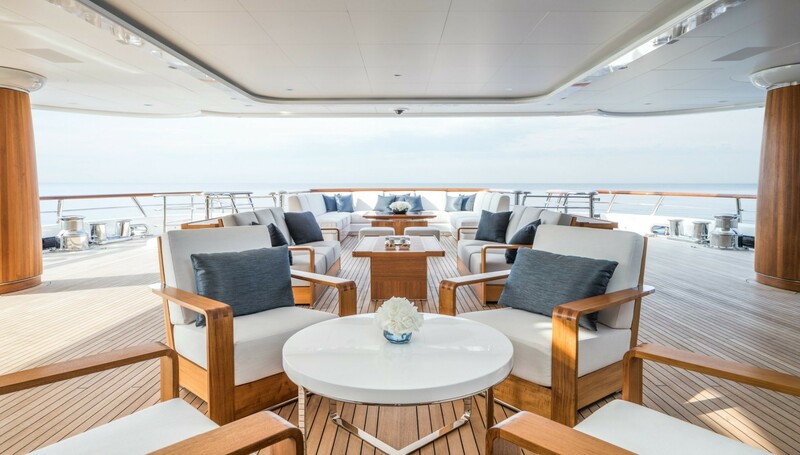 The upper deck offers guests shaded alfresco dining with curving sofas close to the stern for after-dinner conversations that take in the views. 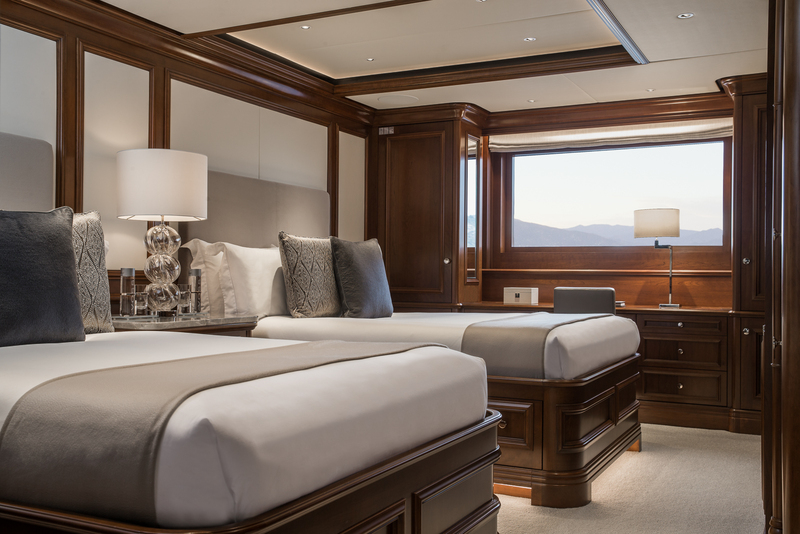 The foredeck belongs to the Master suite and offers the occupants a private outdoor retreat for a sunabthing and outdoor living. 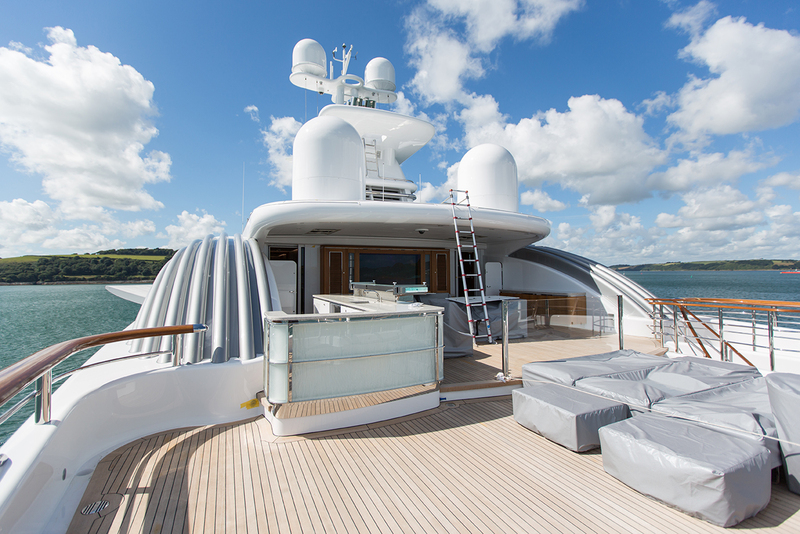 The bridge deck provides a casual space attached to the sky lounge where guests can rest outdoors with cocktails. 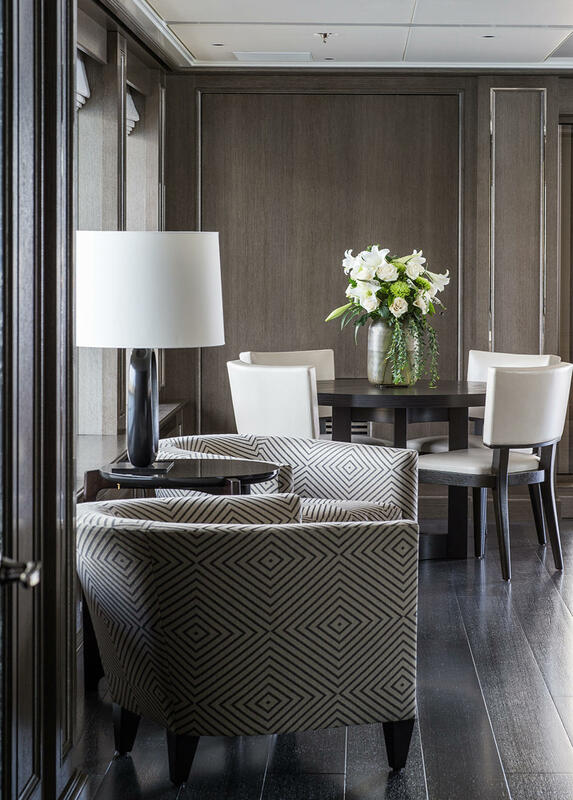 There are two smaller tables close to the bow for atmospheric dining, while the central area has sofas and armchairs encircling a coffee table. 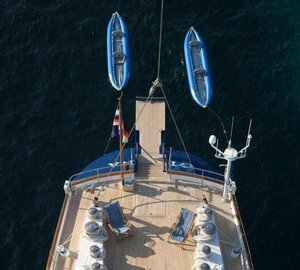 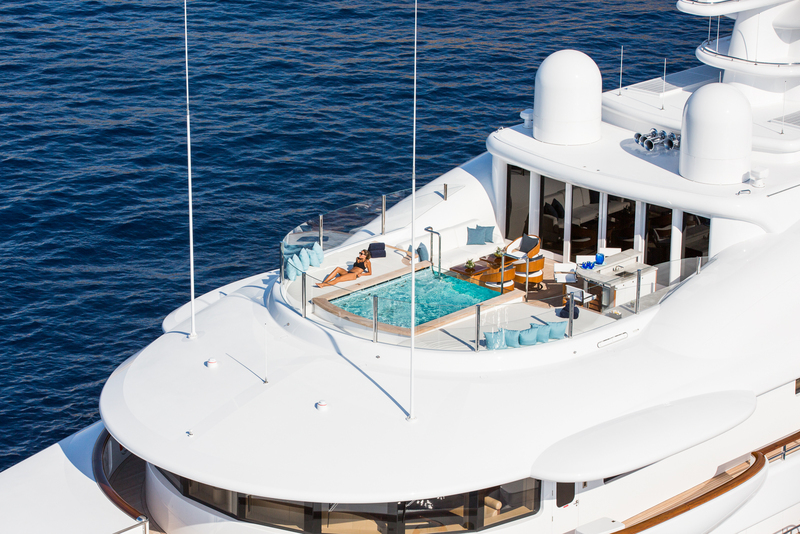 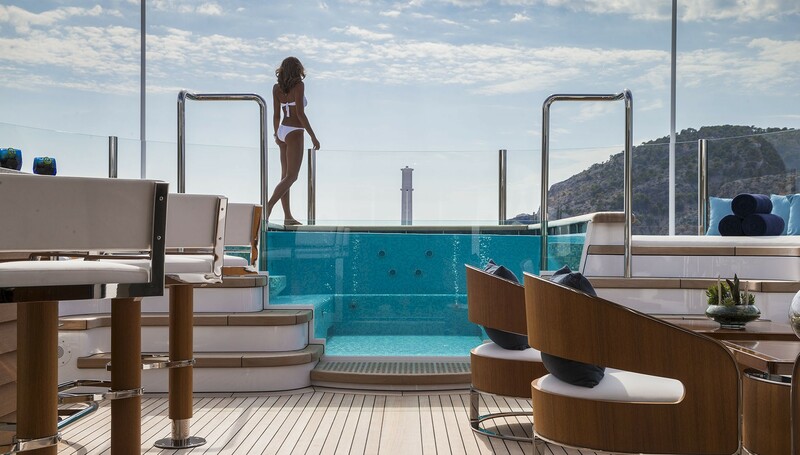 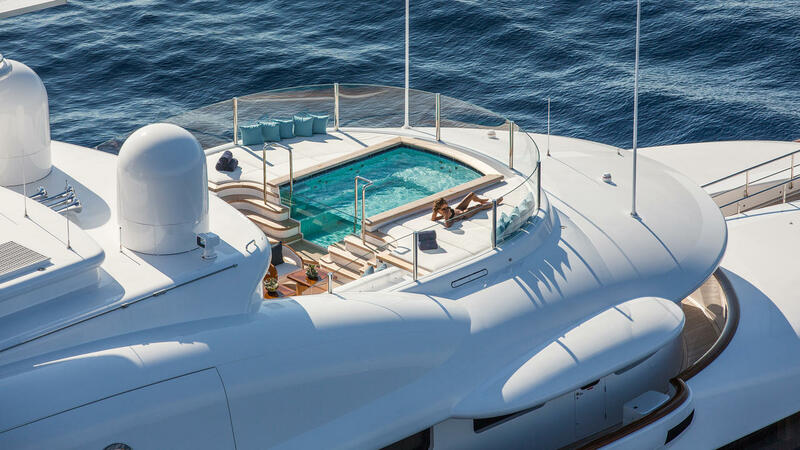 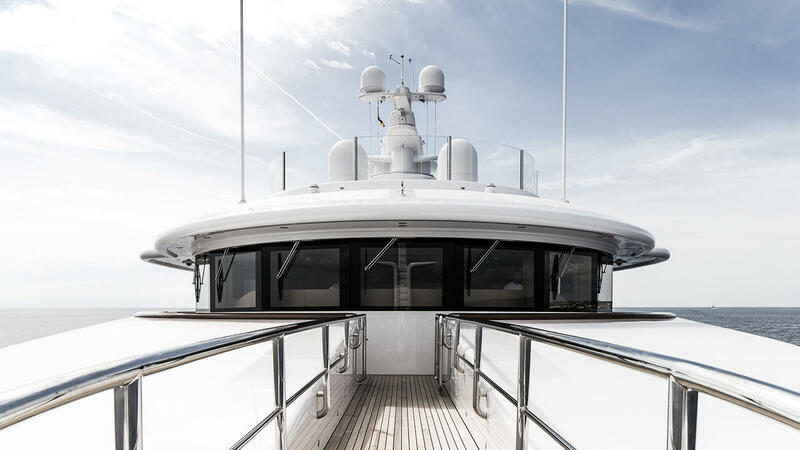 The sundeck is separated into two sections, placing the Jacuzzi centre of the aft area with sun loungers along the aft and a sun pad in the shade on the port and starboard side. 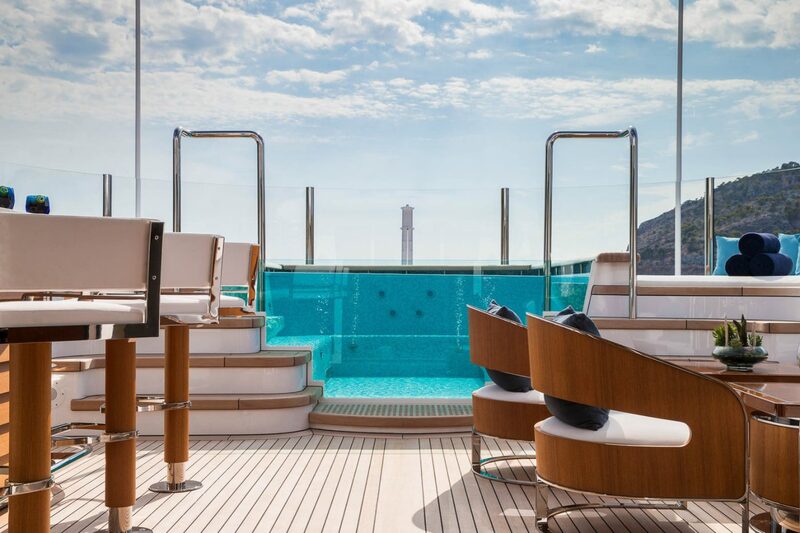 On the sundeck forward, the area is designed for alfresco dining and relaxation in the sunshine. 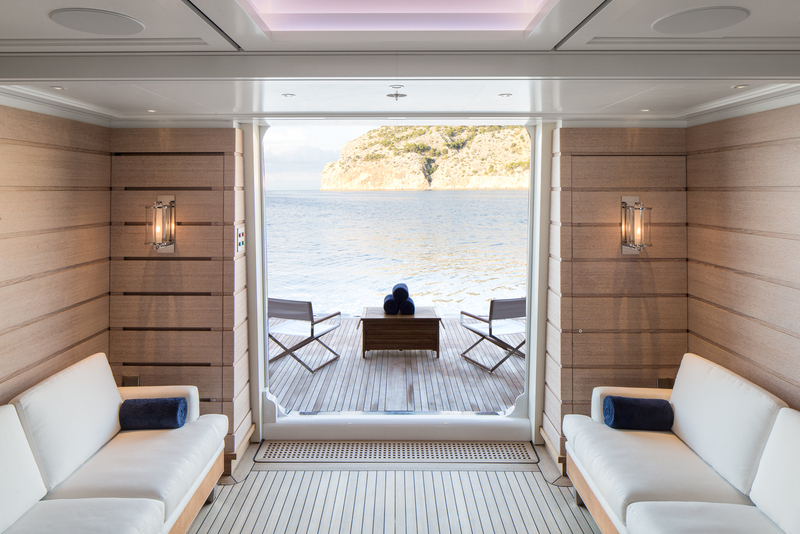 The lower deck has a spacious beach club lined in light wooden panelling. 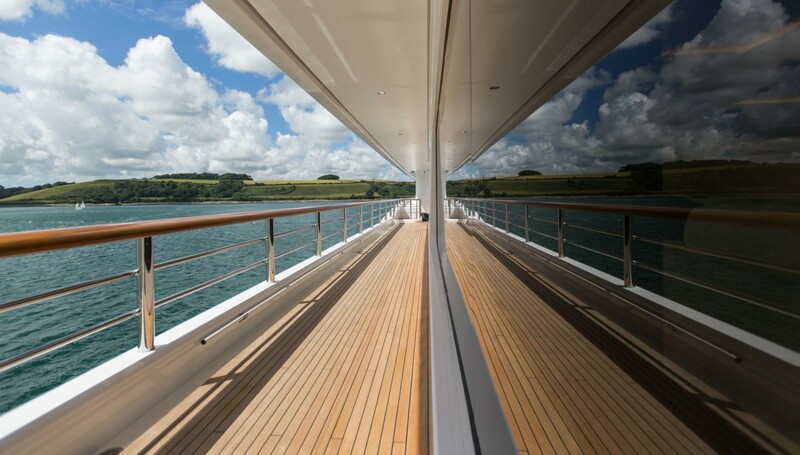 Farther forward is the engine room and the crew accommodation, with the guest accommodation situated on the main deck forward. 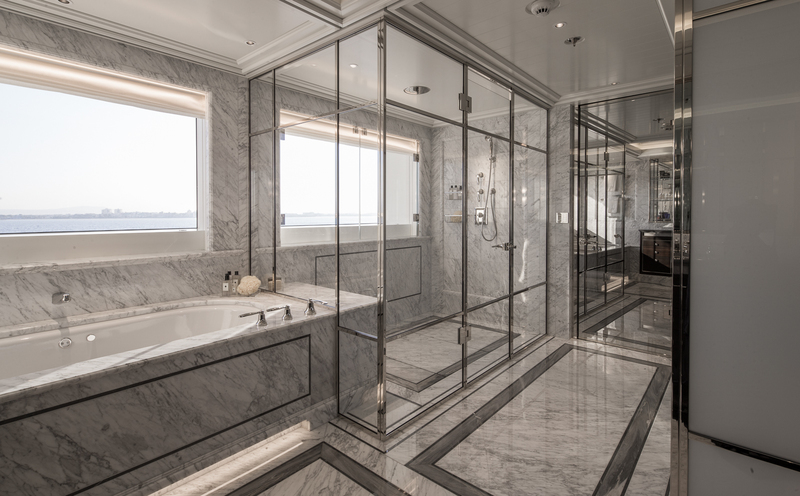 Each of the seven guest cabins is lavishly styled, benefiting from full-height windows for panoramic views and an en-suite bathroom that features a spa pool tub. 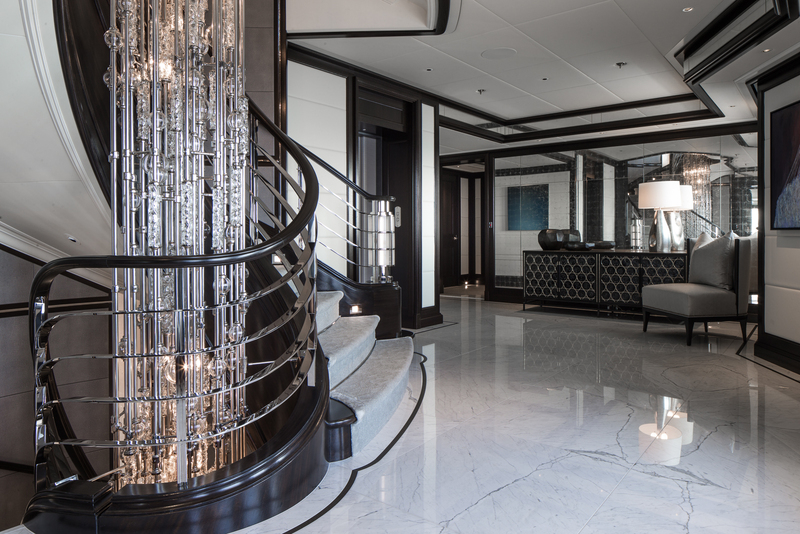 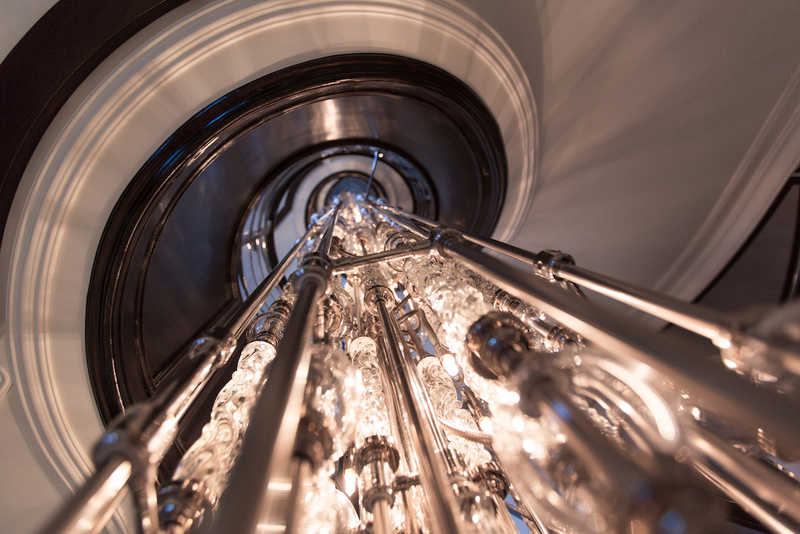 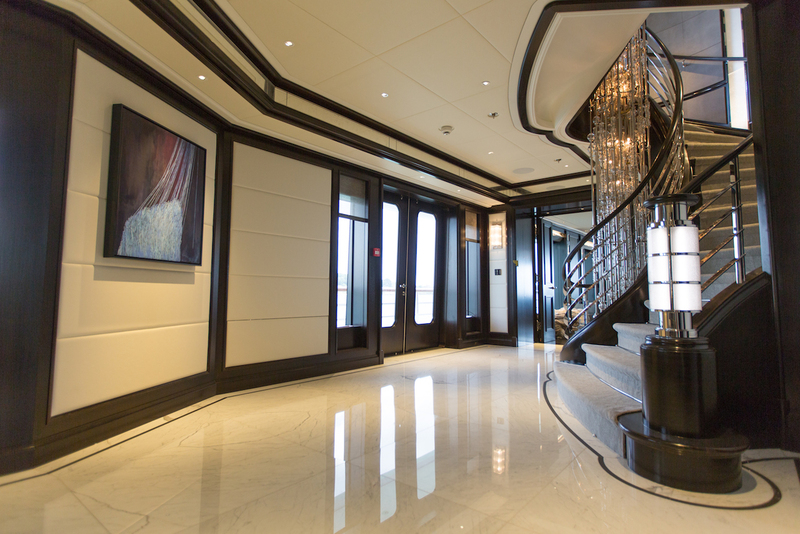 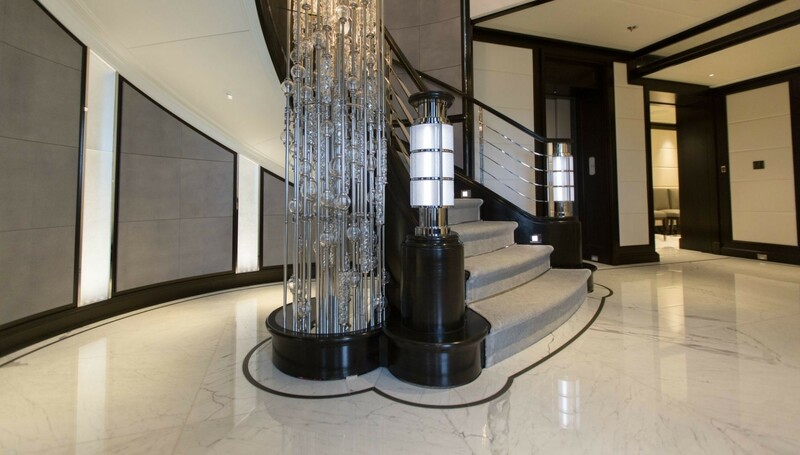 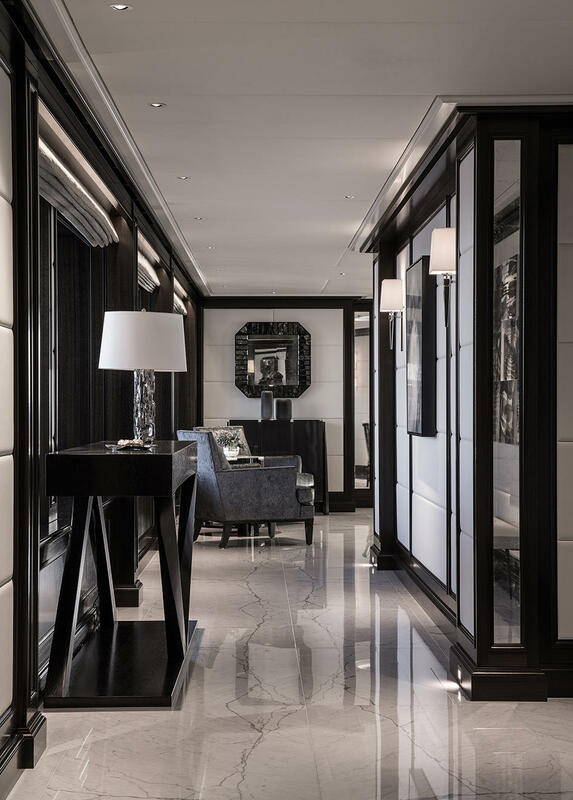 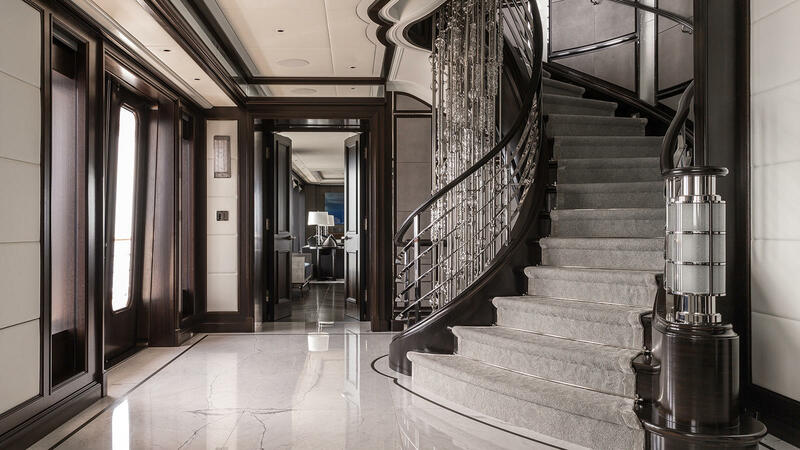 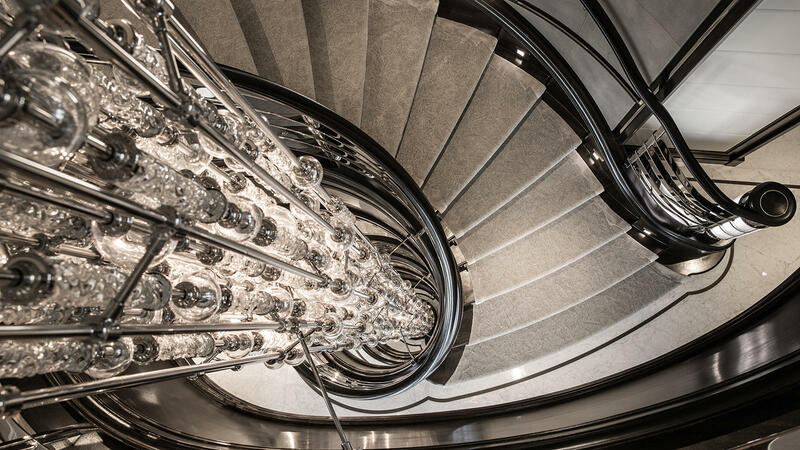 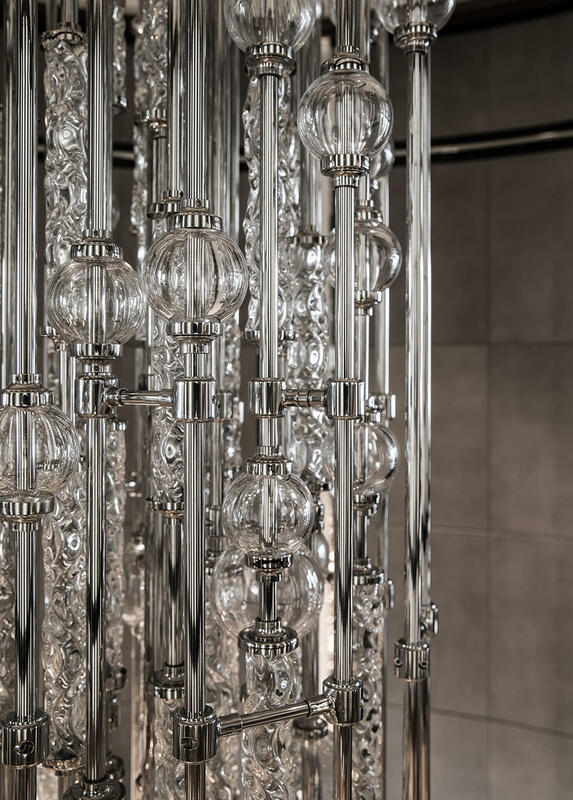 Behind, there is a glamorous foyer with a glass sculpture running from the sundeck foyer downwards, and a lift connects the floors for quick and efficient guest access. 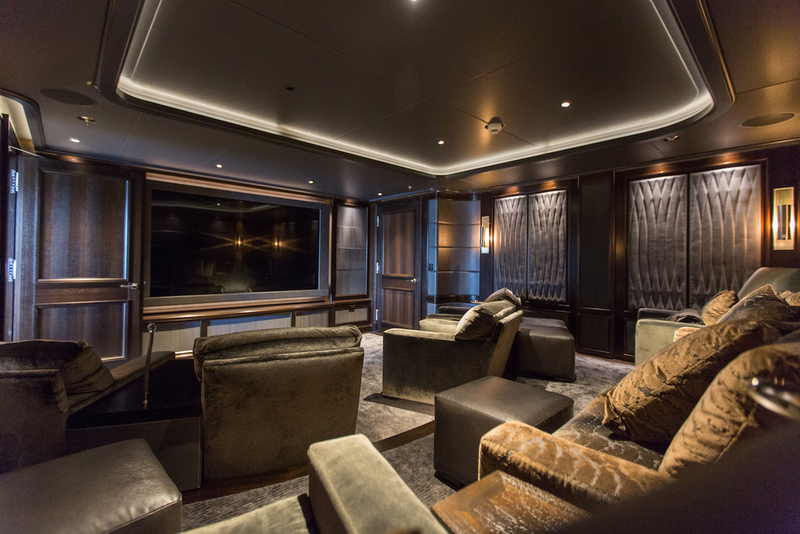 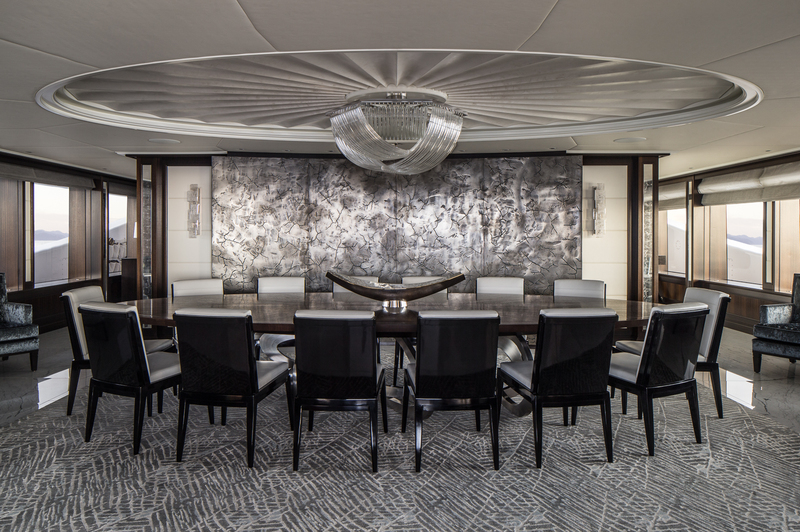 The main deck also has a dedicated cinema to the aft, behind which is a formal dining area with a large round table with parquet flooring and delicate crystal chandeliers to add sophistication to any special celebration. 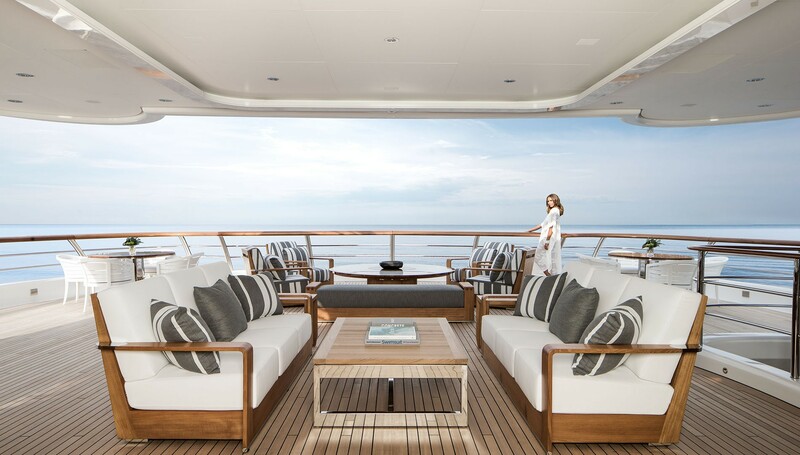 The Owner's deck layout places the Master suite forward for 180 panoramic views. 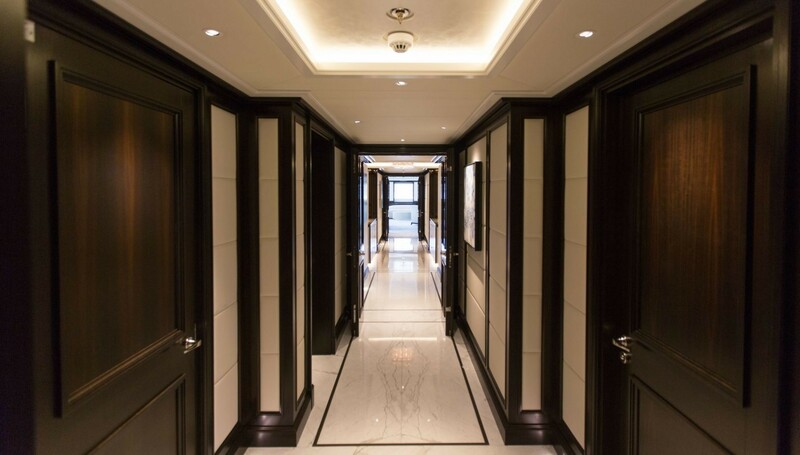 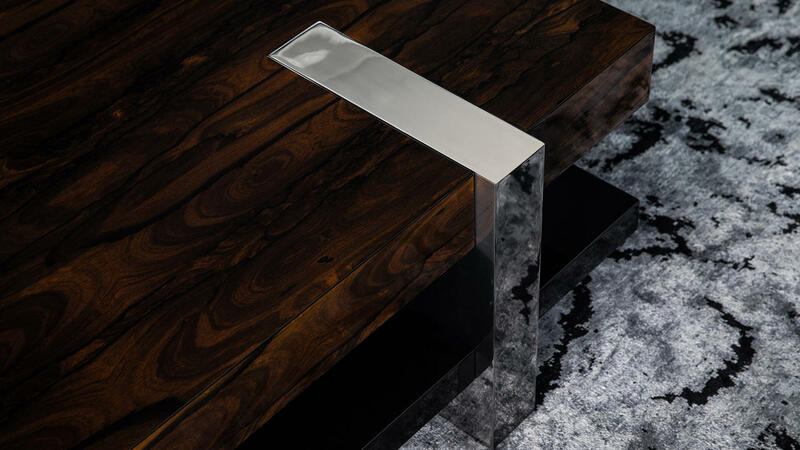 There are his and her bathrooms, two walk-in wardrobes and a private lounge that uses dark wood and a smoky grey colour scheme for a calming indoor retreat for work and pleasure. 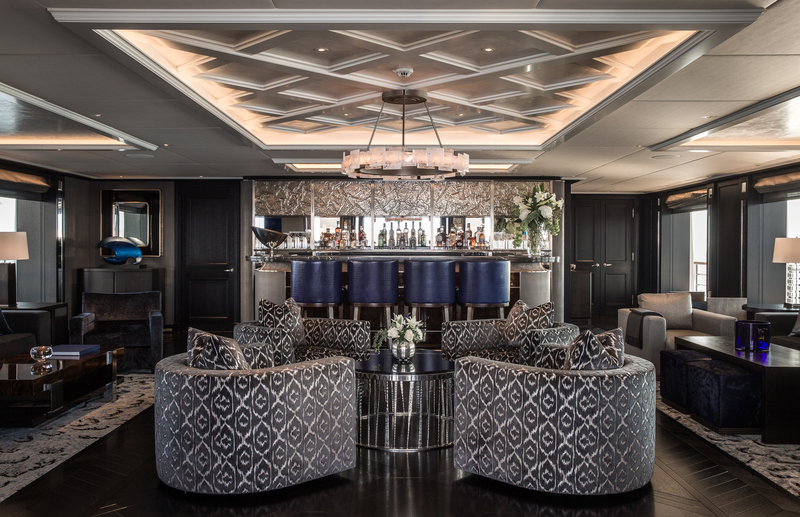 This area can be separated off from the sky lounge, where the sultry colour scheme, fully-stocked wet bar and separated seating arrangements set the mood for an evening of entertainment. 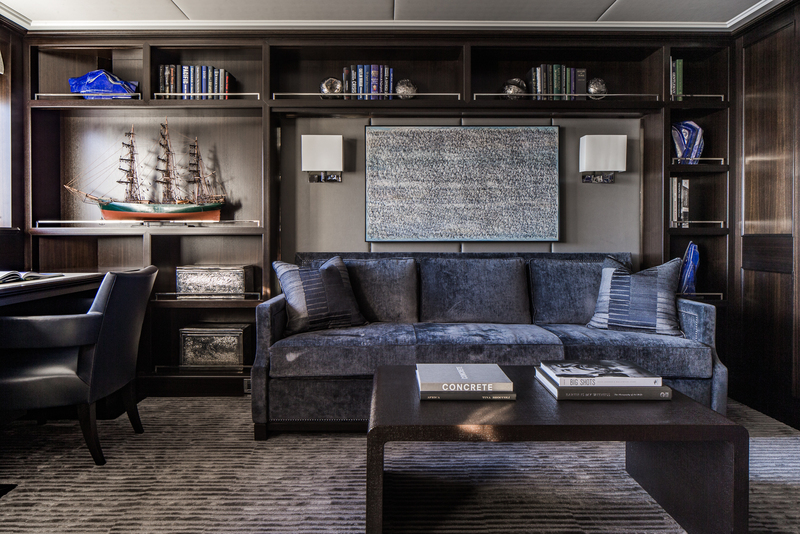 On the bridge deck, there is another lounge for guests to watch a film or enjoy a moment of tranquillity to engage in private conversation or spend time on hobbies. 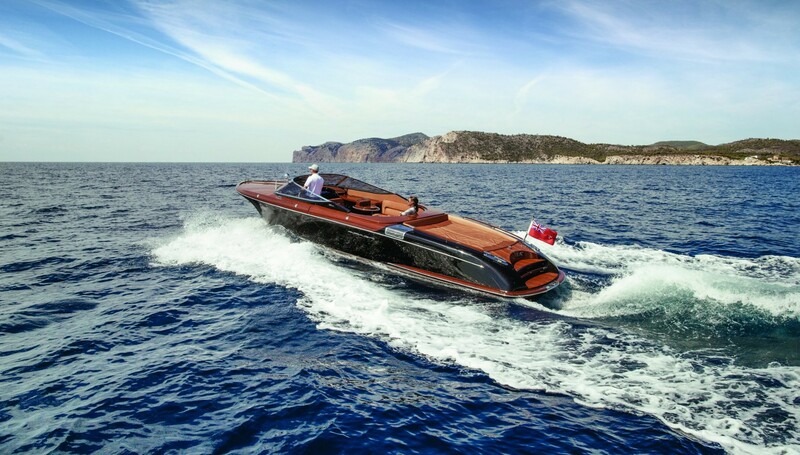 2 x MTU 16V 4000 allow for a top speed of 17 knots and a cruising speed of 15 knots. 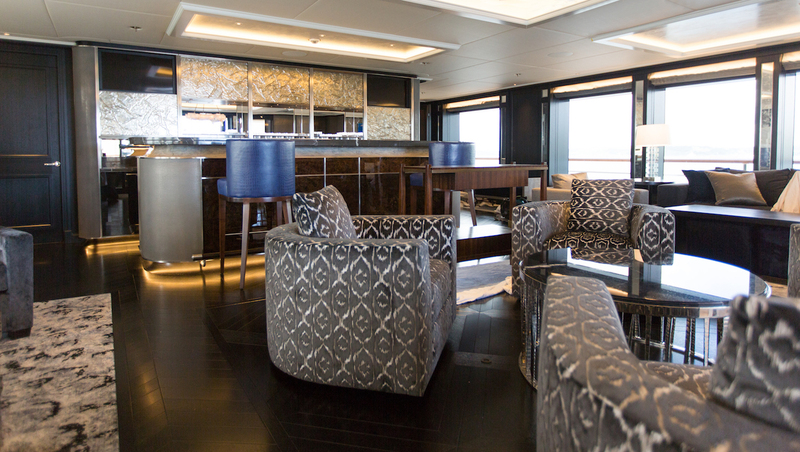 The accommodation sleeps up to 12 guests across 8 cabins, all of which have en-suite facilities and are located on the main deck. 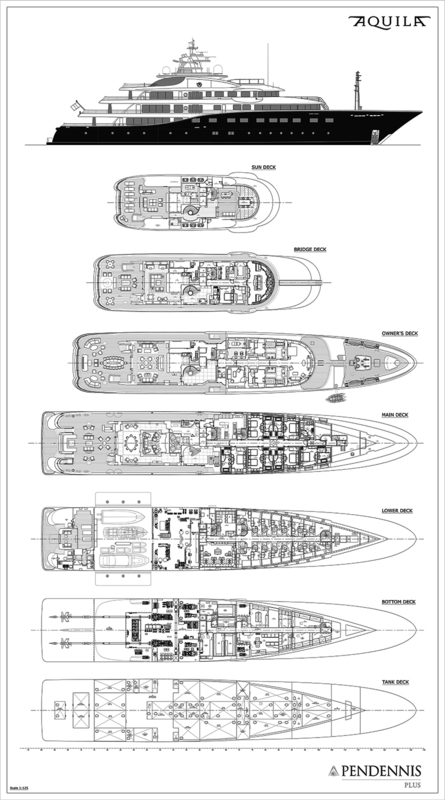 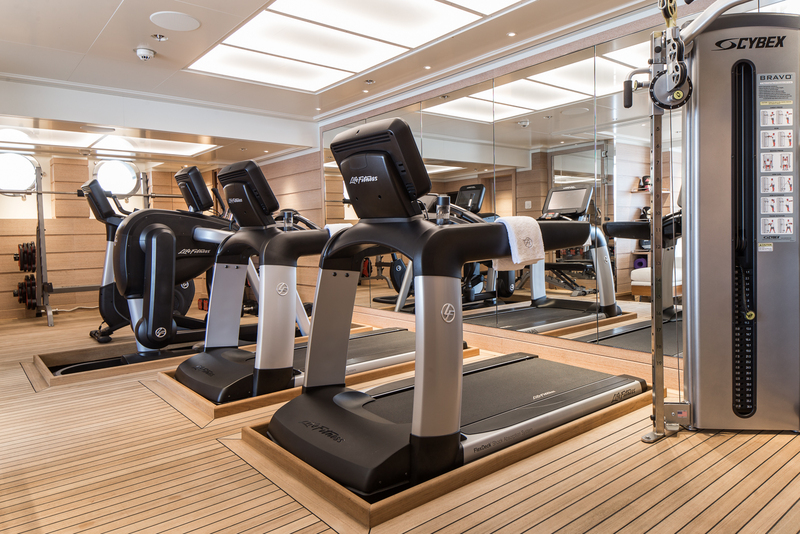 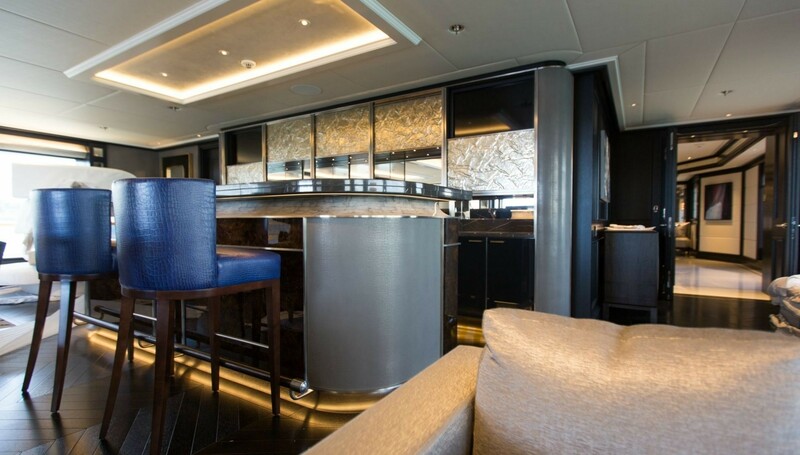 The dedicated crew of 26 is accommodated over 17 cabins, which are placed on the lower deck.